【Application】: Gold mine, Tin mine, Chrome mine, Tantalum-niobium mine, Tungsten mine, iron mine, Manganese mine and so on. Gold Shaker Table, also known as FRP shaker, gold shaking table, benefaction shaker, slime shaker, 6-S shaker. 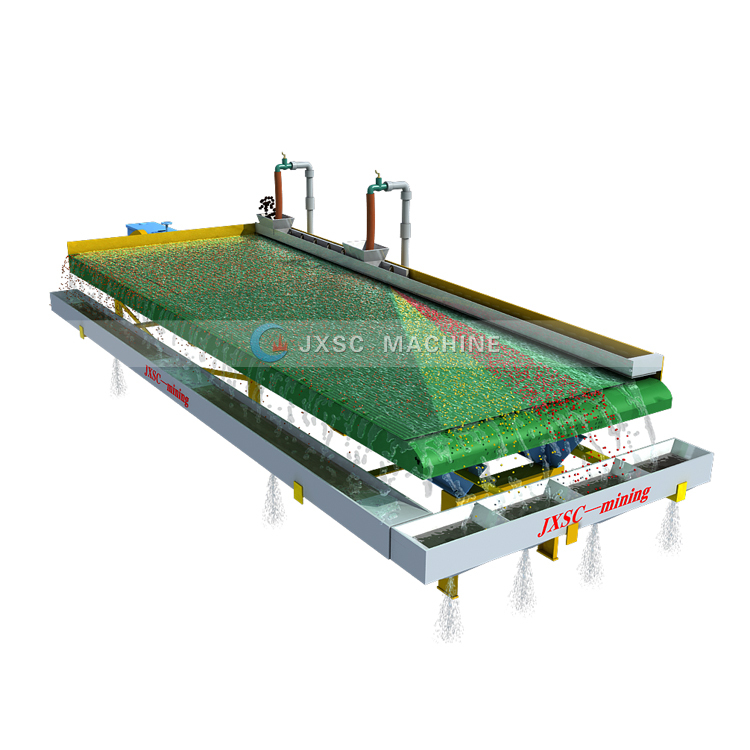 It is a gravity concentration for sorting fine-grained material, widely used in the mining industry for ore dressing of tin, tungsten, gold, silver, lead, Zinc, bismuth, antimony, iron, manganese, ferrotitanium, and coal. 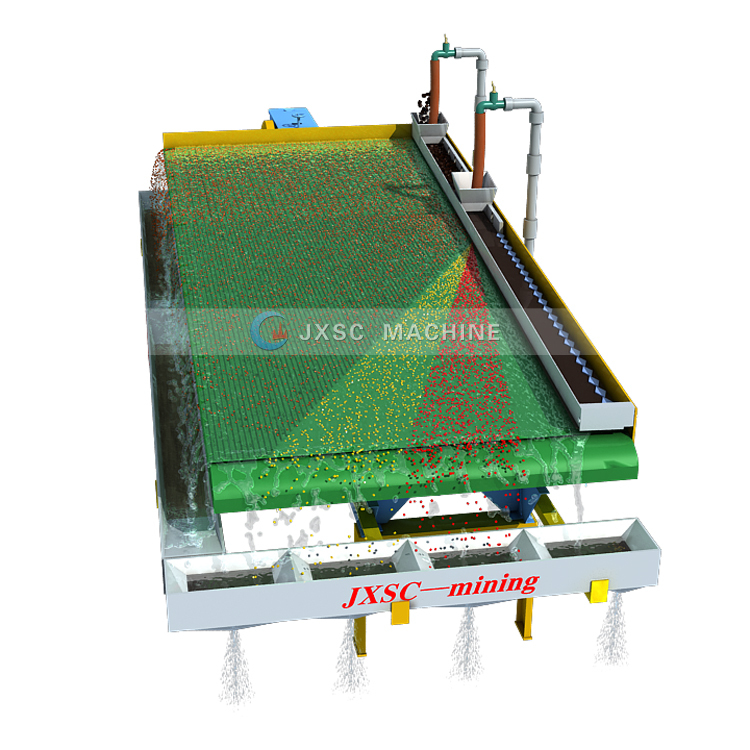 JXSC supply different types of shaking table concentrator, both of industrial use and laboratory use small scale gold mining equipment. Besides, gold shaking table design is available. 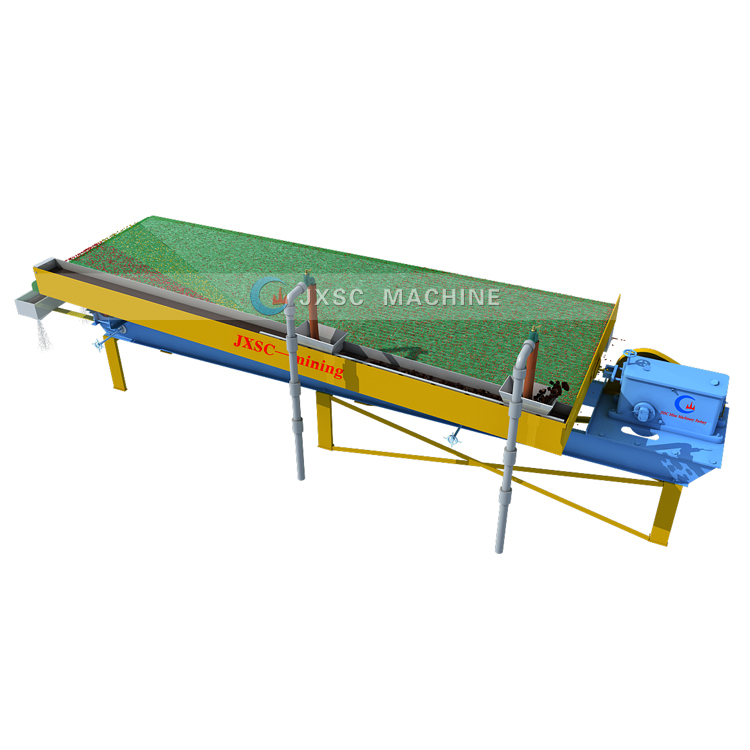 In gravity concentration plant, Shaker table is the most widely used and efficient equipment for fine ore separation. 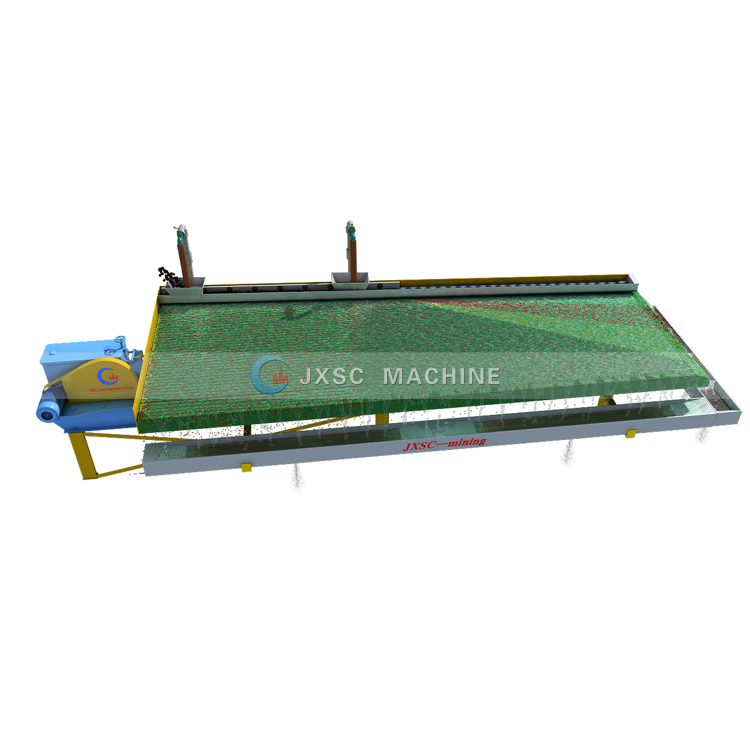 Shaker table can not only be used as an independent beneficiation machine, but it often is combined with jig machine, flotation equipment, magnetic drum separator, centrifugal concentrators, spiral concentrators, belt chutes and other ore dressing equipment. 【Principle of Shaking Table】Gold shaking table main component includes head, electric motor, slope regulator, ore tank, water tank, compound strip, and lubrication system. Shaking table mineral separation is an inclined table, the combined action of the symmetrical reciprocating motion of a mechanical slab and the flow of water on a thin inclined plane, causes loose layering and zoning of ore particles on the table surface, thereby causing the mineral separation process to be carried out according to different densities. 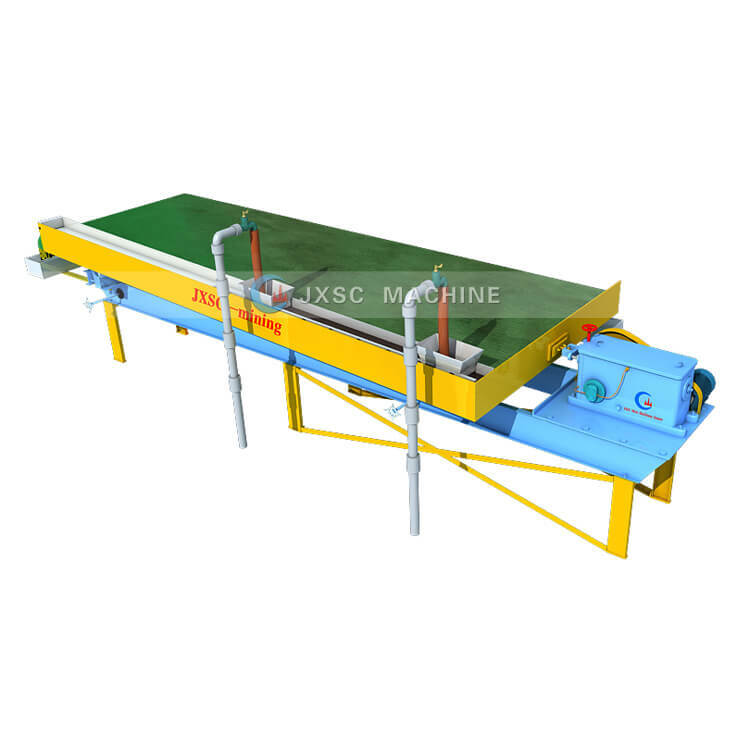 Shaking table can make material have different motion base on different particle density and particle size, and from the feeder tank material flow out like a diagonal along the edge of the bed, the discharge line is very long, accurate real estate product of a variety of different quality, such as the concentrate, inferior concentrate, medium concentrate and tailings in time etc.